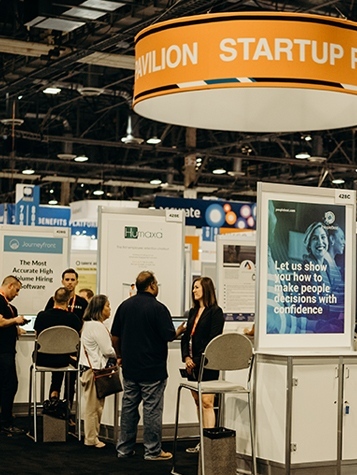 That's what exhibitors call the HR Technology® Conference & Exposition because they get more qualified leads here than at any other expo they attend. In 2018, HR Tech was once again the largest HR technology and services exposition in the world, with a community of 10,000 and growing. Plus, HR Technology has been proclaimed as THE HR SHOW to attend by HR Practitioners, independent analysts, journalists, bloggers and even the former COO of SHRM. technology and motivated to buy! Are you a new company looking for added exposure, but not ready for a booth investment? HR Tech Conference & Expo has more than 9,000 attendees and over 400 exhibitors.